Dessert Darling Merry’s Miracle Tart- Raw, Vegan Chocolate & Chocolate Mint Desserts | Dessert Darling by Hail Merry and I’m kind of obsessed. Cool, silky, smooth, rich, and flavorful- these decadent chocolate treats do the trick! 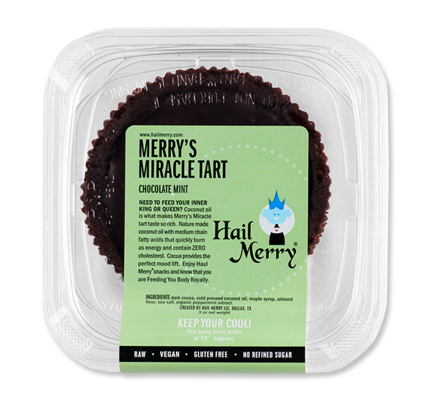 For more information on Hail Merry and their other Raw, Vegan desserts, click here. oooh must try! i love their macaroons! Have you tried the Meyer Lemon Tart? It’s so delish and so summer! thank you so much for the post. I am honored that you enjoy our Miracle Tarts. Where do you buy them?